Hey East Coast! You thought we forgot all about you…but we DIDN’T! William has announced an East Coast run at the end of March, ending in Nashville in early April. The fabulous Jim and Sam will join as support. Check out the full list of dates and grab tickets – on sale NOW. Tickets for select dates are on sale now through William’s Fan Ticketing Site (WFTS) and all the ticket links can be found above. Also, anyone who purchases a ticket through WFTS will automatically be entered to win a pre-show meet & greet with William, where he will serenade you and your guest with a super depressing song. Sadly, not all shows are able to sell tickets through WFTS, so this option isn’t available for every date, but we’ll find other interesting ways to make it up to those markets where we can’t sell directly! 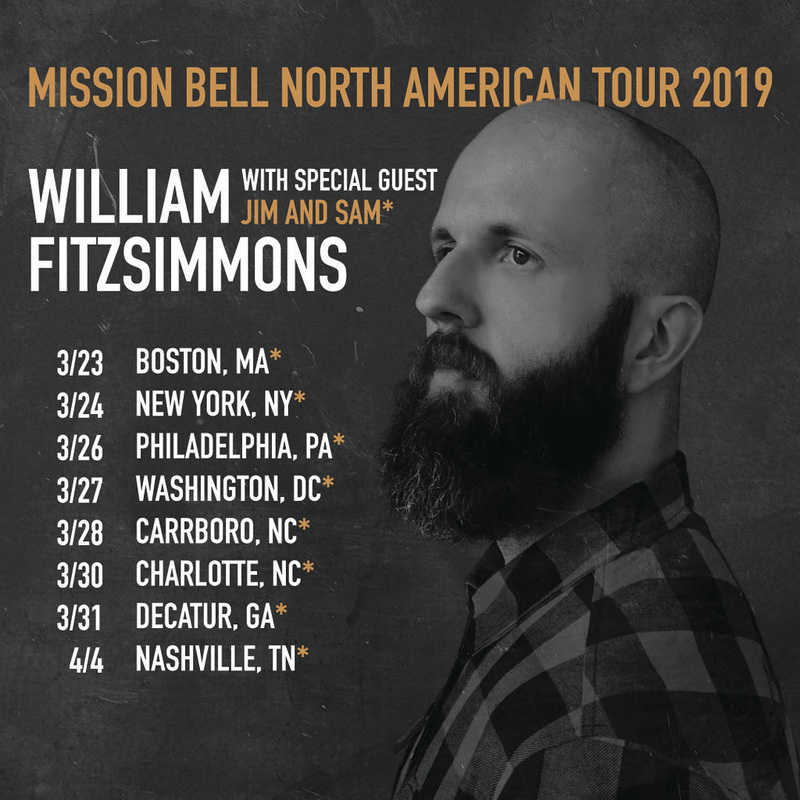 As a reminder, when purchasing your tickets via William’s Fan Ticketing Site (WFTS), you can add a copy of Mission Bell CD & vinyl to your WFTS ticket purchase for an additional savings. You’ll be able to pick up your CD and/or vinyl on the night of the show at the merch stand!